Another breakaway Tau sept is unlikely as the fluff doesn't quite support it, and the only real difference in the septs is their color and markings, not necessarily gameplay. There is certainly enough fluff to support a full Kroot supplement. 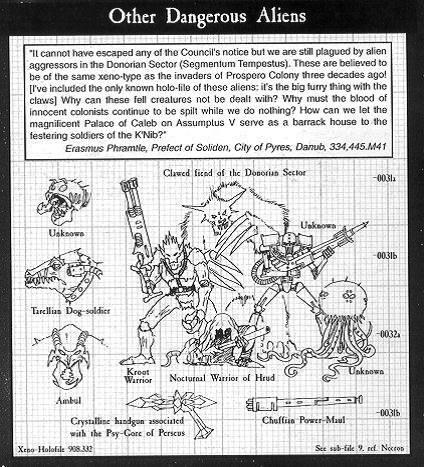 There's actually already a fan-developed Kroot Codex available if you dig around a little. (so there is one potential supplement right there). Then, there may possibly be enough for the Vespids, but that would be a bit of a stretch. Unless GW comes up with some new models there just isn't enough there yet. Though I could see an allied detachment of the bugmen as a very fast, close combat army (like in the video game). So there's two. 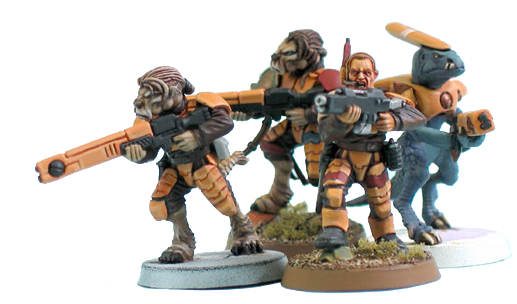 Another likely supplement would be the other, less prominent Xenos in the empire including the Demiurg, Nicassar, Morallian Deathsworn, Ji'Atrix, Tarellian Dog Soldiers, Galg, Hrenian Light Infantry, and the Ranghon. Does anyone remember tis picture? (Each of these were mentioned in at least one GW/FW publication). There's three. 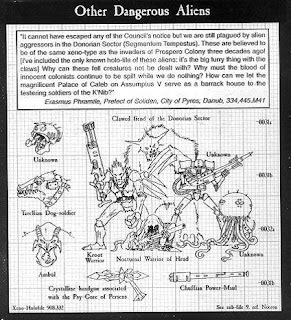 The last may be the Hrud, but unlike the others I have mentioned, I have never seen anything linking the space-skaven to the Tau specifically. These allies could potentially bring psychers, speed, and other assets and game-changing mechanics to the Tau. I personally am excited. But you may take it for what it's worth. 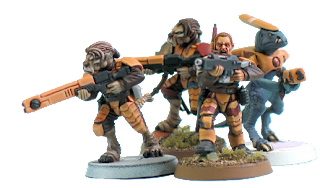 By the way, we have a series of posts regarding Tau Empire Allies coming up in the next week or two, hope to see you all then. There was a farsight supplement released within the last two weeks right? I saw an ebook thing for it. That is correct. Farsight Enclaves supplement was released July 20, 2013.